I was born into a Christian family and so my early experience of religion is being told I must be ‘god fearing’ and ‘god moves in mysteries ways’ – neither of these things moved me in any way.I attended church for christenings and weddings and found them to be bleak, unwelcoming and without any sense of warmth. I know others feel differently, but this was my personal experience. When I was eight I was taken out of Sunday school for asking too many questions. This left me feeling that something was missing in my life. So when I was older I embarked on a quest to find something to fill the void I felt inside. This is when I came across Buddhism. It seemed to offer me all the things I was searching for. The two main points that stuck out for me were that I didn’t have to believe in a god, and I had to take responsibility for my own actions and their consequences. It seemed like music to my ears. That was until I came across rebirth. Bam! I had hit a brick wall. As much as I tried I couldn’t get over or around this brick wall. It held me back for many years. Until one day a teacher told me to put it on the back burner and carry on with my studies and meditation practice. He advised me to revisit the concept of rebirth from time to time and see how I felt about it. This was excellent advise and I now give it to my students if they have difficulty with any part of Gautama Buddha’s teachings. 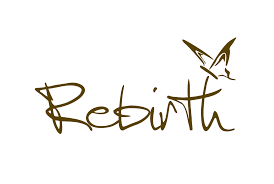 Today, after 35 years of study and practice I still cannot buy into the concept of rebirth. However, it does not bother me any more. I now understand that it does not matter if I believe it or not. What matters is that I am a good, kind and caring person in this life. ‘Even if one believes there is no other world, no future reward for helpful actions or punishment for harmful ones, still in this very life one can live happily, by keeping oneself free from anger, ill will and anxiety’. I wish someone had shown me this quote 30 years ago. It would have saved me a whole lot of trouble. To me this quote is a win–win situation. By following Gautama Buddha’s teachings we reduce our suffering now in this very life, and if there is a next life, we would have set ourselves up for a good rebirth. So whether you believe in rebirth or not, you will end up winning. That has to be a more realistic way of looking at rebirth. It has taken me such a long time to get to this point, but finally, I understand that believing or not believing in rebirth really doesn’t matter. Now I can concentrate on what really does matter, and that is reducing my suffering and the suffering of people around me. I’ve been having what can be best described as a spiritual crisis for the past few days (too complicated to explain here). I came across this post quite by chance and it has answered so many questions for me. Thank you for being there in my hour of need!